Aparthotel Adagio Birmingham, the first opening as part of Birmingham’s hotly anticipated Beorma Quarter development, has launched a campaign to gather memories and photos of the city of Birmingham over the years. Birmingham was once known as Beorma, named after the tribal leader of the 7th century Anglo-Saxon founder of the area which later became known as Birmingham. Birmingham itself comes from Beorma-ingaham or "the homestead of the tribe or people of Beorma". As Adagio Birmingham opens its doors to the city the general manager, Dave Amans is inviting people of the city and surrounding areas, as well as former Birmingham residents, to share their loves and memories of the city and help track the changes the city has undergone through the years. It is rumoured that J.R.R. Tolkien created the character of Beorn in The Hobbit to evoke links between elfland and the counties surrounding Birmingham on the great history of the city and region. Digbeth, the area in which the new Adagio Aparthotel now resides, dates back to the Beorma period and marks the boundary of the city and the birthplace of Beorma, now the city of Birmingham. 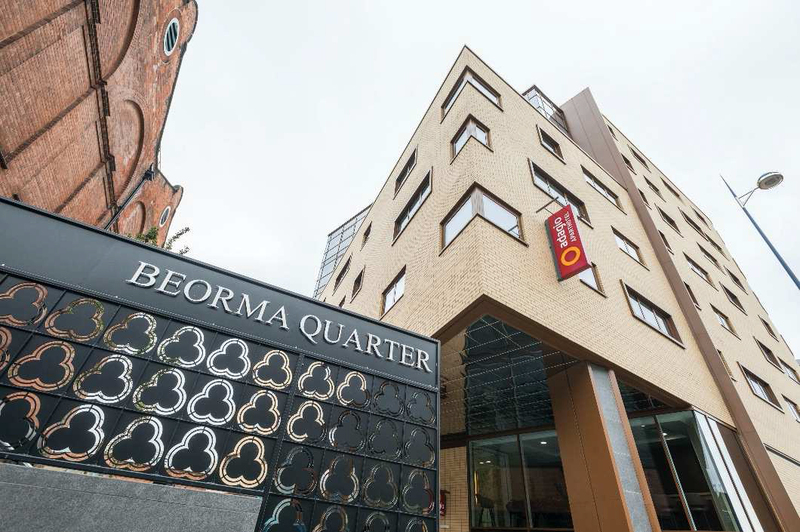 The site of the Adagio and Beorma Quarter development is of great significance, marking the historic city line with remnants of some of Birmingham’s last remaining burgage plots, a structure that dates back to medieval land division. Adagio Birmingham has traced these points and mapped the former city line, marking the path of the land divide with a line visible in the Aparthotel’s lobby as well as on the exterior of the building. Adagio Birmingham General Manager, Dave Amans, said: “The site is of great significance to the city and we want to ensure the memories of the city are treasured, both in the markings of the historic city lines as well as through the memories shared by those who reside in the great city of Birmingham. - Adagio’s innovative Aparthotel concept has been successfully rolled out across Europe and is now being applied to some of the UK’s premier city centre destinations. It is aimed primarily at long-stay visitors and provides fully furnished studios and one and twobedroom apartments, complete with kitchens and bathrooms, to provide high quality selfcatering accommodation. Adagio access, economic range, aparthotels located on cities’ doorstep. 15,000 apartments in the world by 2018.